The ACM A.M. Turing Award is an annual prize given by the Association for Computing Machinery (ACM) to "an individual selected for contributions of a technical nature made to the computing community". It is named after Alan Turing and is given each year in New York City. It is the highest award that could be given to a computer scientist. and the "Nobel Prize of computing". The first Turing Award was given in 1966 to Alan Perlis, a teacher at Carnegie Mellon University. It has been given every year since. The first recipient, in 1966, was Alan Perlis, of Carnegie Mellon University. Frances E. Allen of IBM, in 2006, was the first female recipient in the award's forty-year history. Marvin Minsky For his central role in creating, shaping, promoting, and advancing the field of artificial intelligence. William Kahan For his fundamental contributions to numerical analysis. One of the foremost experts on floating-point computations. Kahan has dedicated himself to "making the world safe for numerical computations." Richard E. Stearns In recognition of their seminal paper which established the foundations for the field of computational complexity theory. Raj Reddy For pioneering the design and construction of large scale artificial intelligence systems, demonstrating the practical importance and potential commercial impact of artificial intelligence technology. Kristen Nygaard For ideas fundamental to the emergence of object-oriented programming, through their design of the programming languages Simula I and Simula 67. Leonard M. Adleman For their ingenious contribution for making public-key cryptography useful in practice. Robert E. Kahn For pioneering work on internetworking, including the design and implementation of the Internet's basic communications protocols, TCP/IP, and for inspired leadership in networking. Joseph Sifakis For [their roles] in developing model checking into a highly effective verification technology, widely adopted in the hardware and software industries. Shafi Goldwasser For transformative work that laid the complexity-theoretic foundations for the science of cryptography and in the process pioneered new methods for efficient verification of mathematical proofs in complexity theory. Michael Stonebraker For fundamental contributions to the concepts and practices underlying modern database systems. Martin Hellman For laying the foundation for today’s online security industry and establishing cryptography as a leading discipline within computer science, and for making encryption technologies accessible to individuals and companies. Tim Berners-Lee For inventing the World Wide Web, the first web browser, and the fundamental protocols and algorithms allowing the Web to scale. ↑ Dasgupta, Sanjoy; Papadimitriou, Christos; Vazirani, Umesh (2008). Algorithms. McGraw-Hill. ISBN 978-0-07-352340-8. , p. 317. ↑ Steven Geringer (27 July 2007). "ACM'S Turing Award Prize Raised To $250,000". ACM press release. Retrieved 2008-10-16. ↑ The Association for Computing Machinery (February 21, 2007). "First Woman to Receive ACM Turing Award". Press release. 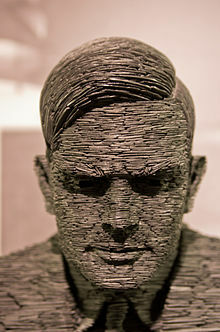 http://campus.acm.org/public/pressroom/press_releases/2_2007/turing2006.cfm. Retrieved 2007-11-05. ↑ Marianne Kolbasuk McGee (February 24–26, 2007). "There's Still A Shortage Of Women In Tech, First Female Turing Award Winner Warns". InformationWeek. CMP Media. Retrieved 2007-11-05. ↑ Perlis, A. J. (1967). "The Synthesis of Algorithmic Systems". Journal of the ACM 14: 1. doi:10.1145/321371.321372. ↑ Wilkes, M. V. (1968). "Computers then and Now". Journal of the ACM 15: 1. doi:10.1145/321439.321440. ↑ Hamming, R. W. (1969). "One Man's View of Computer Science". Journal of the ACM 16: 3. doi:10.1145/321495.321497. ↑ Minsky, M. (1970). "Form and Content in Computer Science (1970 ACM turing lecture)". Journal of the ACM 17 (2): 197. doi:10.1145/321574.321575. ↑ Wilkinson, J. H. (1971). "Some Comments from a Numerical Analyst". Journal of the ACM 18 (2): 137. doi:10.1145/321637.321638. ↑ McCarthy, J. (1987). "Generality in artificial intelligence". Communications of the ACM 30 (12): 1030. doi:10.1145/33447.33448. ↑ Dijkstra, E. W. (1972). "The humble programmer". Communications of the ACM 15 (10): 859. doi:10.1145/355604.361591. ↑ Bachman, C. W. (1973). "The programmer as navigator". Communications of the ACM 16 (11): 653. doi:10.1145/355611.362534. ↑ Knuth, D. E. (1974). "Computer programming as an art". Communications of the ACM 17 (12): 667. doi:10.1145/361604.361612. ↑ Newell, A.; Simon, H. A. (1976). "Computer science as empirical inquiry: Symbols and search". Communications of the ACM 19 (3): 113. doi:10.1145/360018.360022. ↑ Rabin, M. O.; Scott, D. (1959). "Finite Automata and Their Decision Problems". IBM Journal of Research and Development 3 (2): 114. doi:10.1147/rd.32.0114. ↑ Rabin, M. O. (1977). "Complexity of computations". Communications of the ACM 20 (9): 625. doi:10.1145/359810.359816. ↑ Scott, D. S. (1977). "Logic and programming languages". Communications of the ACM 20 (9): 634. doi:10.1145/359810.359826. ↑ Backus, J. (1978). "Can programming be liberated from the von Neumann style? : A functional style and its algebra of programs". Communications of the ACM 21 (8): 613. doi:10.1145/359576.359579. ↑ Floyd, R. W. (1979). "The paradigms of programming". Communications of the ACM 22 (8): 455. doi:10.1145/359138.359140. http://dl.acm.org/ft_gateway.cfm?id=359140&ftid=289772&dwn=1&CFID=285645736&CFTOKEN=55009136. ↑ Iverson, K. E. (1980). "Notation as a tool of thought". Communications of the ACM 23 (8): 444. doi:10.1145/358896.358899. ↑ Hoare, C. A. R. (1981). "The emperor's old clothes". Communications of the ACM 24 (2): 75. doi:10.1145/358549.358561. ↑ Codd, E. F. (1982). "Relational database: A practical foundation for productivity". Communications of the ACM 25 (2): 109. doi:10.1145/358396.358400. ↑ Cook, S. A. (1983). "An overview of computational complexity". Communications of the ACM 26 (6): 400. doi:10.1145/358141.358144. ↑ Milner, R. (1993). "Elements of interaction: Turing award lecture". Communications of the ACM 36: 78–89. doi:10.1145/151233.151240. ↑ Stearns, R. E. (1994). "Turing Award lecture: It's time to reconsider time". Communications of the ACM 37 (11): 95. doi:10.1145/188280.188379. ↑ Reddy, R. (1996). "To dream the possible dream". Communications of the ACM 39 (5): 105. doi:10.1145/229459.233436. ↑ Pearl, Judea (2011). "The Mechanization of Causal Inference: A "mini" Turing Test and Beyond" (mp4). ACM Turing award lectures (ACM). doi:10.1145/1283920.2351636. ISBN 978-1-4503-1049-9. http://dl.acm.org/citation.cfm?id=1283920.2351636. ↑ Lamport, L. (1978). "Time, clocks, and the ordering of events in a distributed system". Communications of the ACM 21 (7): 558–565. doi:10.1145/359545.359563. http://research.microsoft.com/users/lamport/pubs/time-clocks.pdf. ↑ "Turing Award 2015". ACM. This page was last changed on 5 April 2017, at 07:10.